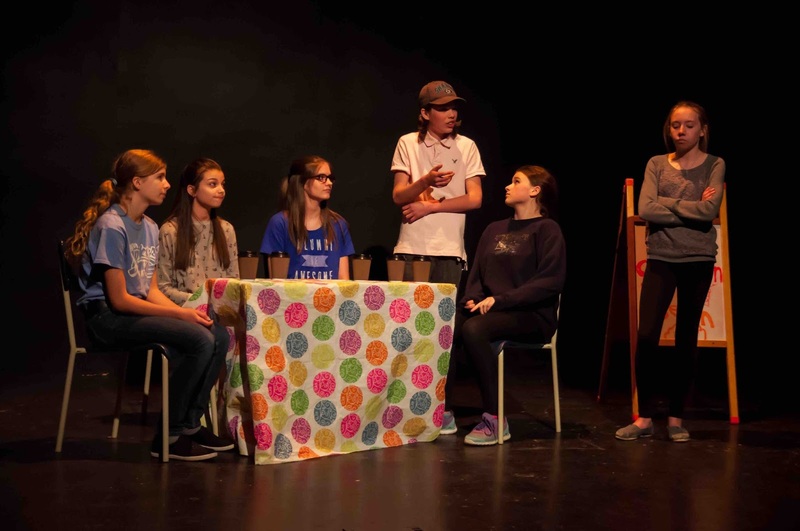 Blackville School plays from both the middle and high school levels were recognized at this year's New Brunswick Provincial Drama Festival held from May 11-18 in Fredericton. The Middle School Drama Club's play Drama Geeks Vs. Zombie Cheerleaders received six awards and recognitions. Middle School students Reese Urquhart, Anna Sturgeon, Abby Keenan and Patrick Donovan all received Outstanding Actor Awards. The play also received an Outstanding Use of Choreography Award and a Special Adjudicator’s Mention for Innovative Lighting. The High School Drama Club's play Game of Tiaras also received six awards and recognition. Laura Jardine and Jasmine Jardine received awards for Outstanding Student Directors. Robyn Stewart received and Outstanding Actor Award and Gina Keenan received an Outstanding Supporting Actor Award. The play also received an Outstanding Use of Costume Award and a Special Adjudicator's Mention for Ensemble Work and Comedic Achievement. 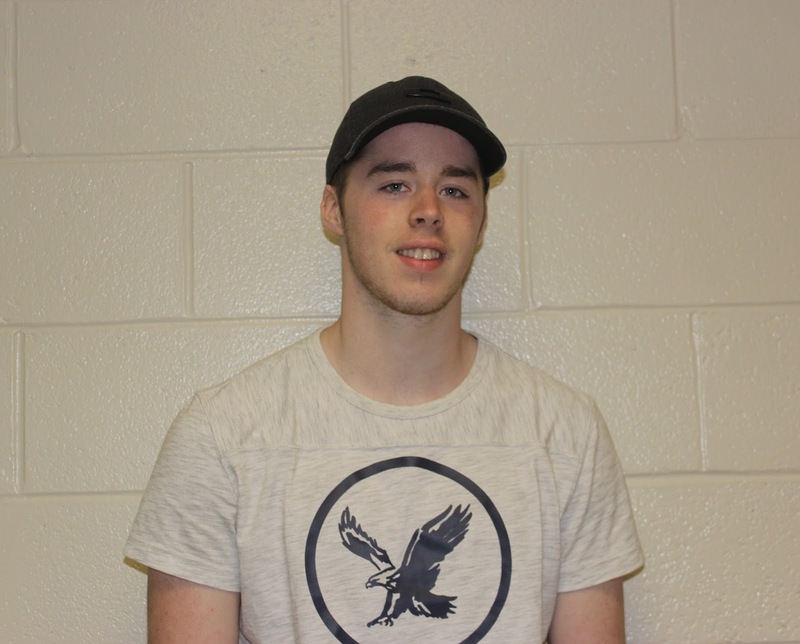 The Nine Worst Breakups of all Time at Blackville School. The Theatre Arts 120's play The Nine Worst Breakups of All Time received four awards and recognitions. Calvin Furlong received a Special Adjudicator's Mention for Playing the Villain. The play received Special Adjudicator's Mention for Ensemble and Special Adjudicator's Mention for Taking Risks. The play also received an Outstanding Use of Choreography Award. 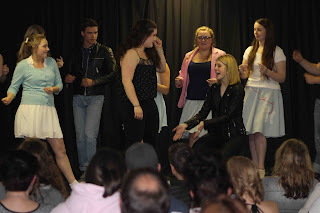 Last week the high school plays were performed at the school. To see photos from the performances, click here. 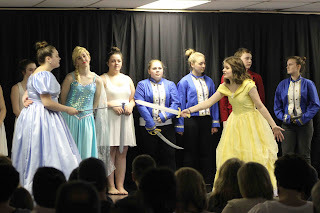 To view photos from the Middle School Drama Club's performance at the Drama Festival, click here. 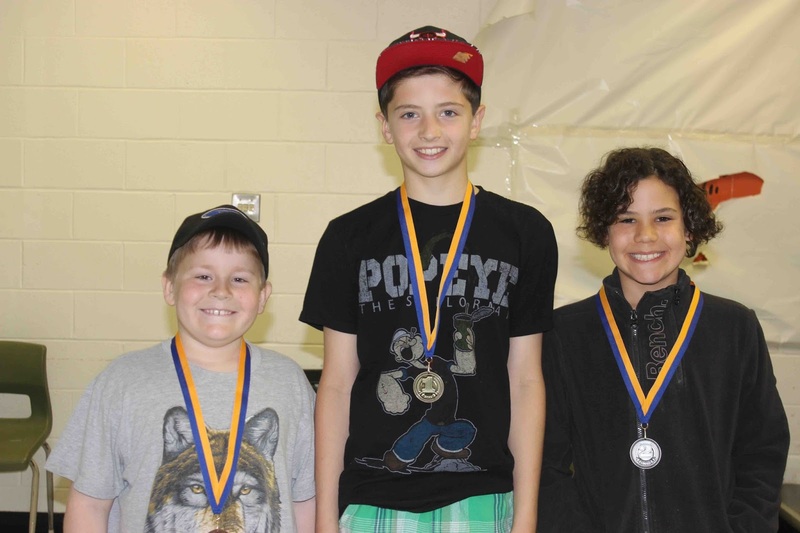 Blackville School elementary students celebrated the results of the 2016 Spell-A-Thon on Monday, May 09. The students participated in the event this spring. 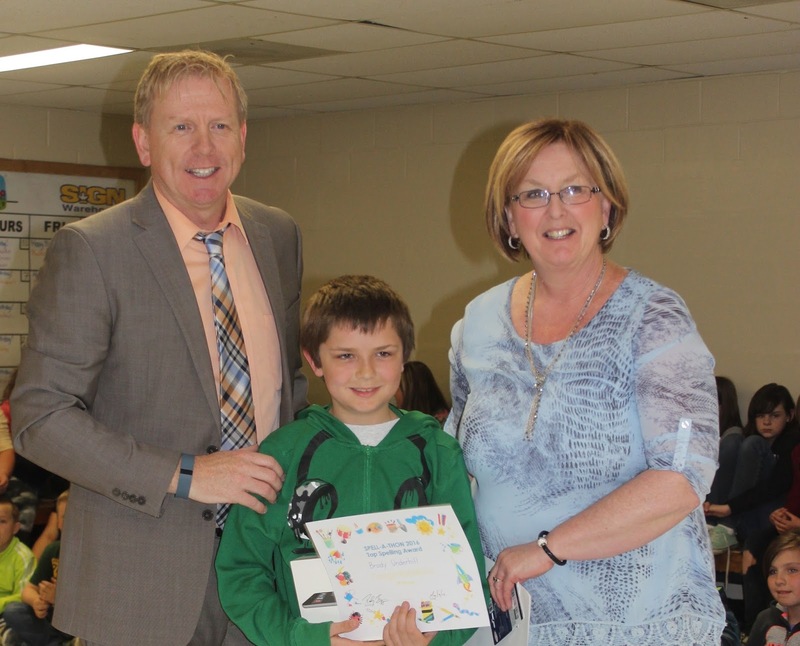 Students collected pledges until May 02 and earned their pledges for each word spelled correctly during the Spell-A-Thon. A total of $4435.40 was raised. Proceeds from the event will be used for the elementary banquets, celebrations and field trips. 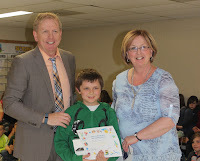 Grade four student Brody Underhill won the first prize of an iPad mini as the top pledge earner. Grade 3 student Kyle LeBlanc came in second, winning a Nintendo Wii U. Grade 3 student Nathan Stewart won a mountain bike and helmet for third place. Mrs. Hallihan's kindergarten class won the pizza party. All students who collected pledges also received treats. 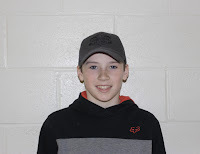 For more photos, click here. 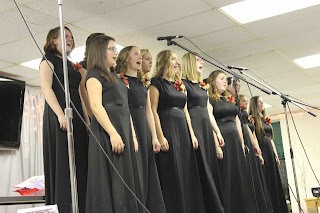 at the 2015 Christmas Concert. The Blackville School Elementary Choir and the Blackville School Girls’ Choir achieved a Gold Standard at last week’s Miramichi Regional Music Festival 2016. 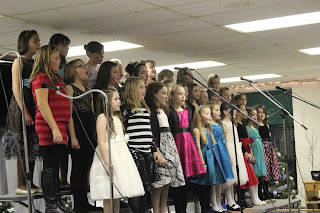 The Elementary Choir sang, “If You Sing An Allelu” and “En Roulant Ma Boule,” and the Blackville School Girls’ Choir sang, “Laudate Dominum” and “The Swallow." 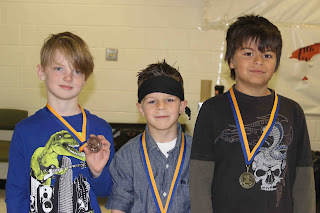 Awards will be given out at the final concert on Thursday, May 5 at 6:30 p.m. at Carrefour Beausoleil School Auditorium. Ms. Frenette and all of the choir students would like to thank the piano accompanist, Mrs. Margaret Craig for "doing such a fabulous job as our accompanist at the festival." 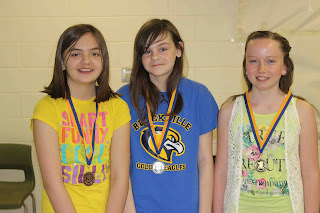 They also send thanks to the parent volunteers: Tracey Hallihan, Sarah Mullin, Cindy Hallihan, and Elana Hallihan. "They traveled on the bus with us for assistance; it was greatly appreciated," said Ms. Frenette. Blackville School will be presenting its annual Choir and Band Spring Concert on Wednesday, May 25 in the school cafeteria at 7:00 p.m. 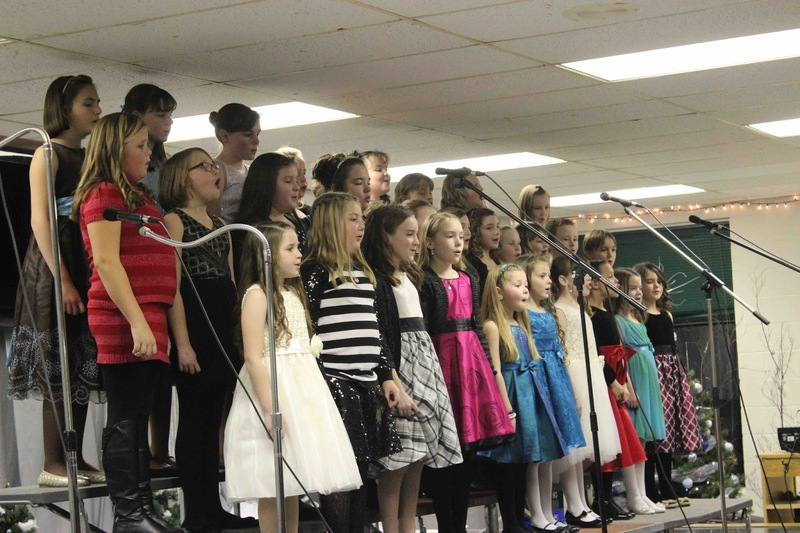 This concert will feature performances by the Blackville School Elementary Choir, the Blackville School Girls’ Choir, the Blackville School Jazz Band along with the Grade 9U Instrumental Class, and vocal/instrumental soloists. Admission is at the door: Adults $5.00 Students $2.00. Fudge, beverages, and tickets on a 50/50 Draw will be sold during the concert. Come and “swing into spring” and enjoy some of the fabulous musical talent from Blackville School. I would like to nominate my JV Varsity Girls Volleyball team as Athlete of the Week for the following reasons. This group of young women represent the truest form of the word "athlete." They are strong and confident when winning; they are supportive and focused when losing. This group never gives up on a ball, nor on each other. They have been a joy to work with this year. They are truly athletes. 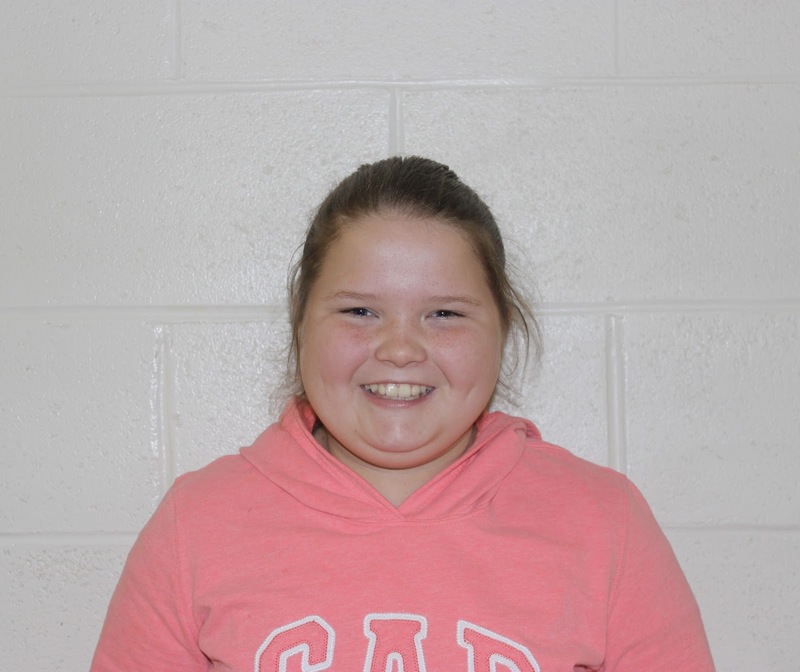 The Middle School Female Athlete of the Week is Cassidy Hallihan. Cassidy was chosen because she is a great server and scores a lot of points for her team. Cassidy plays for the middle school JV volleyball team.